I recently snuck into my first show. Most people do this before they’re 25, but I’m sort of hopelessly straitlaced. When I was a college freshmen and too young to see Bone Thugs-N-Harmony play a 21+ show, it never occurred to me to get a fake ID. Instead, I stayed in that night and listened to music while doing homework. (To be fair, the show was on a Wednesday or something—it was 2007 Thugs after all.) At the time, I only had a few things to listen to on my newly acquired iTunes, because I paid for all my music (again, hopelessly straitlaced), so my listening options were notably focused on Phil Collins with his solo release No Jacket Required and Invisible Touch by Genesis—the first digital albums I purchased—hitting heavy rotation. Thanks to the radio, I cannot remember a time in my life without Phil Collins. Bone Thugs-N-Harmony, however, was something I gleaned from my oldest sister, who was a senior in high school when I was a first grader, riding around in her car listening to music that mostly made my mother cringe. Although I have a considerably long past with both these artists, I completely missed their collaboration in 2003. I hadn’t fathomed they were aware of one another, let alone responsible for a song that once discovered I immediately mainlined for days, weeks even. 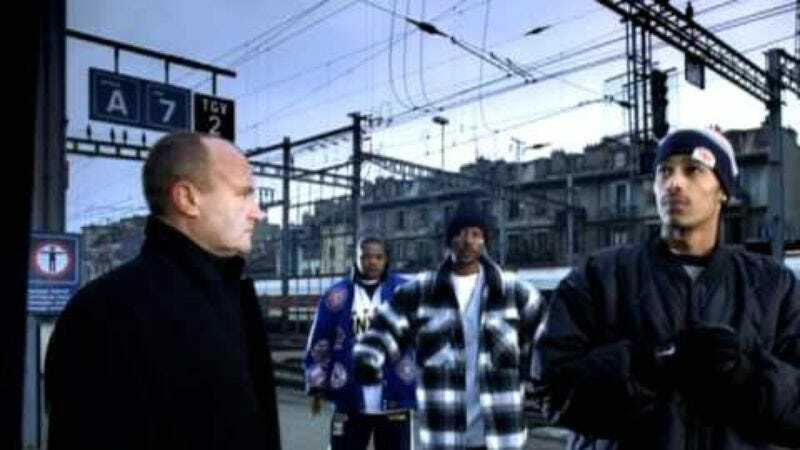 Bone Thugs-N-Harmony flew to Switzerland to feature Collins actually singing in the music video, and made him an honorary member of the group with the name “Chrome Bone.” It’s a horrible name, but that’s a small crack in an otherwise stellar collaboration.